With a beautiful and fresh zucchini have prepared a tasty incoming invite you to try, it is easy to prepare and also very fast, this Zucchini with ginger and mint pesto can become a regular at many tables next season of this vegetable . 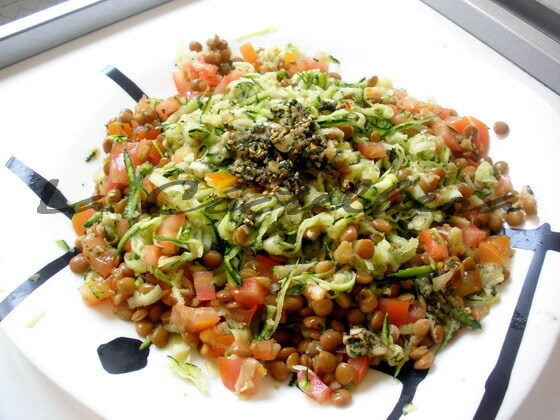 It is a light and nutritious dish, very aromatic and balanced in flavor and texture. Can you elaborate sliced lengthwise, as we show, or as you like best, you can even do the zucchini with mint pesto ginger and cut into 'noodles' and dress as we usually do with pasta. 2 large zucchini, sun-dried tomatoes in oil 4, cheese, cured, mint leaves and fresh basil small. For the ginger and mint pesto almond 40 grams, 15 grams of fresh basil leaves, 5 grams of fresh mint leaves 1 clove garlic, 7 grams fresh ginger, freshly ground black pepper, 1 lemon juice, salt and extra virgin olive oil. Start preparing the pesto, peel and chop the ginger, peel the garlic and remove the seeds inside, put in the blender cup almonds, basil, mint, garlic, ginger, a touch of pepper, the juice lemon and salt, grind in a blender and when you start to have a paste, pour olive oil extra virgin thread, as you continue whisking until the sauce has the appropriate density. Try the pesto and rectified if necessary and set aside. 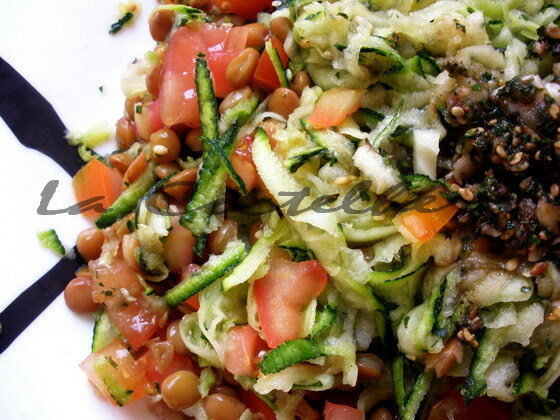 Wash zucchini and cut the ends, then cut into thick slices lengthwise. Put the grill greased with extra virgin olive oil to heat rooms, squash and do it when the grill is hot, marking both sides while keeping the inside a little crunchy.